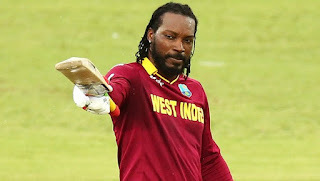 West Indies' T20 star Chris Gayle finally got a bidder in the Indian Premier League (IPL) Auction as Preity Zinta owned franchise Kings XI Punjab (KXIP) bought him for Rs 2 crore in the final session of the auction event at Ritz-Carlton, Bengaluru, on Sunday. No franchise was ready to buy the swashbuckler due to his form in the past seasons. There was an uncertainty about Chris Gayle's presence in the 11th edition of the Indian Premier League as he went unsold twice. Gayle has the fastest T20 century to his name, off 30 balls for RCB versus Pune Warriors in 2013. However, he has been battling with an erratic form of late. He did not do anything noticeable in the away series against New Zealand in December-January. But he did grab a lot of attention after smashing an unbeaten 146 off 69 balls in the Bangladesh Premier League last month.